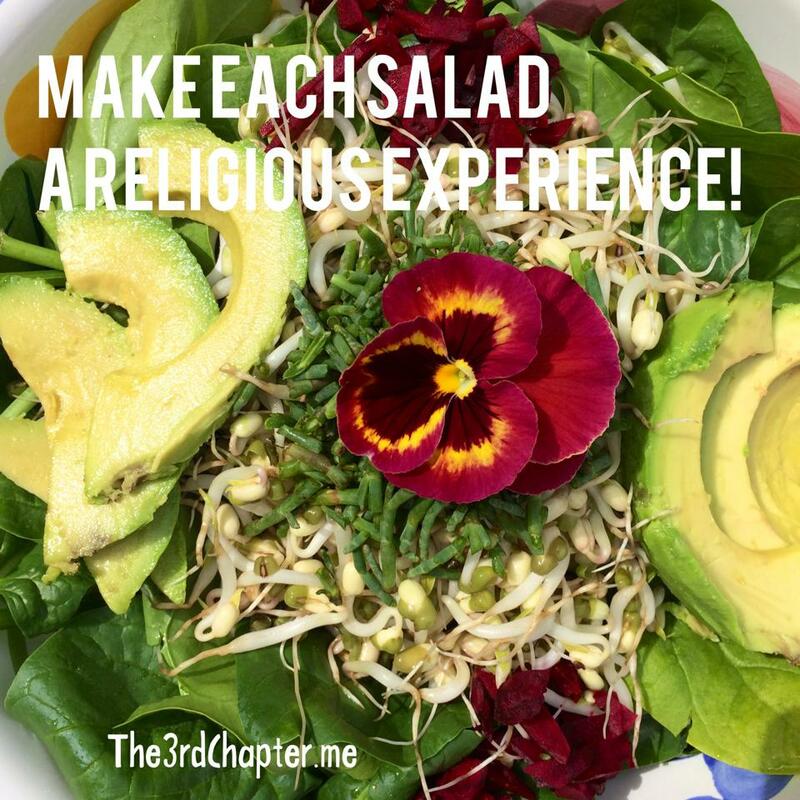 Make Each Salad a Religious Experience! Clean spinach, then spin in salad spinner and chop into bite size pieces. Put spinach in a nice medium to large bowl. Add mung beans in the middle of your pile of spinach. Top the mung beans with the sea beans. Put a little color with the beets on either side. On alternate sides put some avocado. Top with a pansy. Take in the beauty of your salad with your eyes or a photo. Serve as is so guests get to see it before tossing. Top with my simple salad dressing (3 TB of flax oil, 3 TB of apple cider vinegar and 1/2 tsp sea salt). Shake dressing well in a small jar, sprinkle on salad lightly, then toss and enjoy! The salty sea beans compliment the sweetness of the spinach and the mung beans. Packed with protein, nutrients and flavor. A sure crowd pleaser! Amen!